There’s nothing like a nice, steamy shower to get you clean and help you relax – unless you’re one of the millions of people who are stuck with hard or highly chlorinated water. In that case, a shower can leave you with itchy, dry skin, burning eyes and a general feeling that you’re just not clean. Hard water can leave deposits of minerals in your hair that leave it dull and flat, or irritate skin. It affects soap’s ability to lather, and can make shampooing your hair an exercise in frustration. Worst of all, every time you shower, all those chemicals and minerals dissipate in the air where you breath them and absorb them through your skin and your respiratory system. 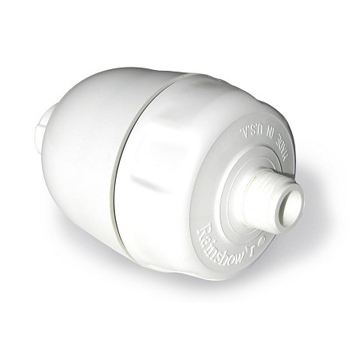 Shower filters need to use a different technology and method than typical faucet water filters. Most faucet filters are designed to work with cool water that passes through the filter material at a slow rate of speed. 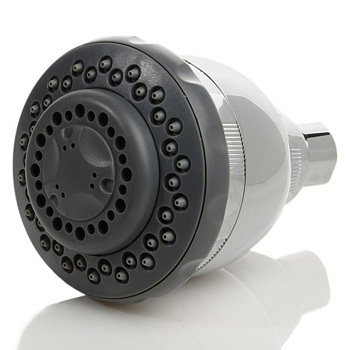 A shower filter, though, must have a higher flow rate and be compatible with hot water. The activated charcoal filters that are most often used in faucet water filters don’t work well under those conditions. Because of that, the better shower filters use both an activated carbon filter to remove impurities suspended or dissolved in the water, and a KDF filter to remove as much chlorine from the water as possible. KDF, a granular filter medium made of copper and zinc, has a number of advantages over carbon filtration systems. Lasts Longer – KDF filters typically last for up to 5 years of daily showers as opposed to carbon filters alone which need to be replaced every 6-12 months. Works in Hot Water – unlike carbon based filter media, where the effectiveness of filtering impurities is affected by the heat of the water. Less Likely to Become a Breeding Ground for Bacteria – the minerals in a KDF filter are far less likely to provide a culture medium than carbon based filters. KDF uses redox – oxygen reduction – to transform chlorine molecules. When a carbon filter is combined with a KDF filter, you have a one-two punch that removes chlorine AND most bacteria, heavy metals and other contaminants from the shower water. If you’ve installed a whole house filter system, you’ll still see benefits to using a shower filter. Most filter systems are not designed to efficiently remove chlorine from your water. You may also have chosen – for many reasons – to purify but not soften the water in your house for everyday use. A shower filter can soften and condition the water ONLY in your shower, letting shampoos and soaps lather more easily and rinse away cleaner than. 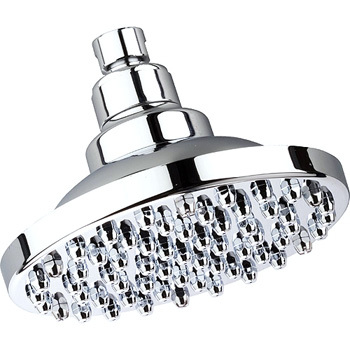 Most shower water filters have an attached shower head, and installation is as easy as screwing off the old shower head and replacing it with the water filter. 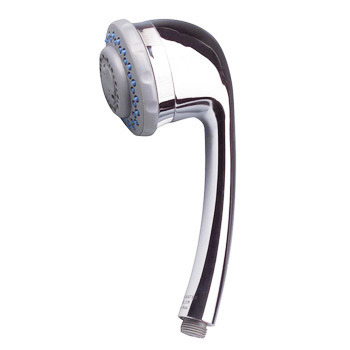 They’re designed to sit ABOVE the shower head, so that they don’t reduce your space in the shower, and can be bought in hand-held and shower massage models. You can expect to pay anywhere from $29.95 to about $100 for a shower filter. Even when you add in the expense of filter replacements, a shower filter will pay for itself in just a few short weeks with appearance and health benefits – and reduced shampoo and soap costs. 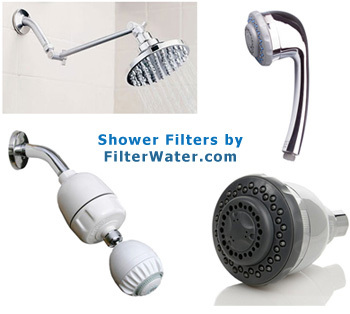 Buy shower filters in our online store.